Salem, OR—Governor Kate Brown invoked the Emergency Conflagration Act in response to the Substation Fire near The Dalles. The Substation Fire has grown to more than 29,000 acres and is impacting Wasco and Sherman Counties. Local authorities issued evacuation notices to impacted residents. "To ensure the safety of local residents, and given the dry and windy conditions on the ground, I am invoking an emergency declaration to make additional state resources available to firefighters and first responders," Governor Kate Brown said. In accordance with ORS 476.510 - 476.610, Governor Brown determined that a threat to life, safety, and property exists due to the fire, and the threat exceeds the firefighting capabilities of local firefighting personnel and equipment. 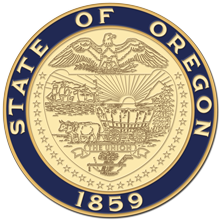 The Governor's declaration authorizes the Oregon Office of State Fire Marshal to mobilize resources to assist local resources battling the fire.